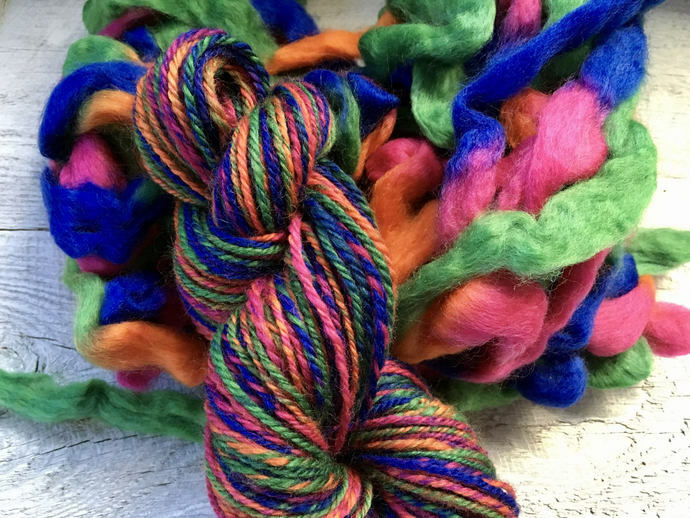 A beautiful, BRIGHT Handspun wool - rainbow handspun wool yarn. You wanted bright, I delivered! This yarn reminds me of a certain (artificially flavored) breakfast cereal that was best enjoyed in front of the TV on Saturday mornings during cartoons. Ahh, the good old days!